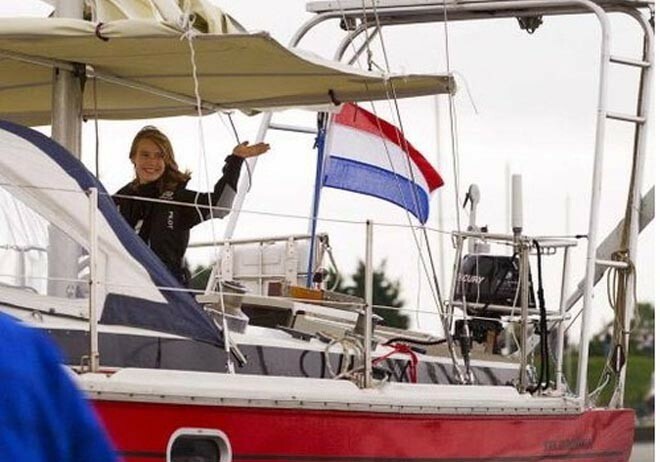 16 year old Dutch sailor, Laura Dekker is on her way to becoming the youngest solo circumnavigator in history aboard her Jeanneau Ginfizz ketch named “Guppy”. 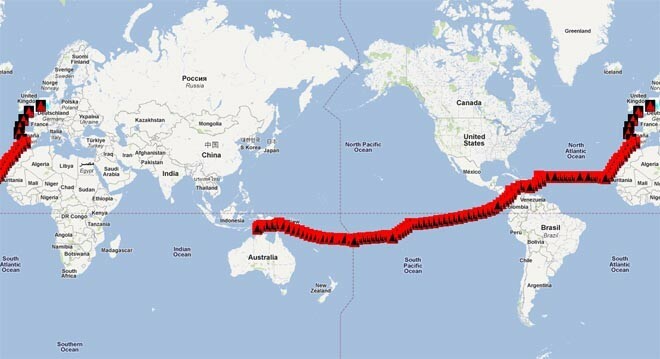 She has just arrived in Darwin, Australia after crossing the Pacific, her most difficult leg thus far. She arrived with a shredded sail and only 30 mins of sleep in the last 48 hours. Her goal is to finish the journey three months younger than the current record holder. This puts her on an timeline with some crucial decisions to be made. Most importantly, whether or not to bypass the pirated waters of the Gulf of Aden. This would entail taking a much longer route around Africa. Authorities are advising her to take the longer route as sailing through the Red Sea, although much shorter, will be very risky. Laura’s passion for sailing is derived from her childhood. She was born in New Zealand on a boat during her parents’ own circumnavigation. By the time she was six she mastered her Optimist dinghy and was criss-crossing lakes in the Netherlands. Her parents where slightly skeptical when she revealed her dream of solo circumnavigating at such a young age. Her dad put her through rigorous navigation and safety lessons. Her final test came at age 13 when her dad proposed she sail from the Netherlands to England and back to prove her solo sailing capabilities. ‘So long on the open sea with wind, rain and waves – that will soon end any ideas of sailing the world,’ he recalls on his daughter’s website. But Laura came home with the opposite sentiments, even more determined to follow her dream. After several obstacles the Dekker family endured with the police and social services in allowing Laura to do this, she left Gibraltar on the 21st August, 2010. Her hope is to return to the Mediterranean, completing her journey, by May 2012. The public has become fascinated with Laura. She has received a celebrity status in some places for her inspiring endeavor. Follow her Twitter @Laura_and_Guppy or visit her website http://www.lauradekker.nl/. We wish you fair winds and following seas Laura! It`d sure be nice if there was a way to help her with security from pirates so she could cross the Gulf of Aden.She is doing something EXTREMELY difficult and i think the world should support her too.i say give the girl her shot,it`ll only make history and that is worth standing behind!